If you’re looking for a go-to toy shop for gorgeous wooden, heirloom quality toys, then Tiny Fox Hole has got your back. This Etsy shop is packed with sweet, safe toys made for babies and toddlers, most with an educational slant and all undeniably cute. 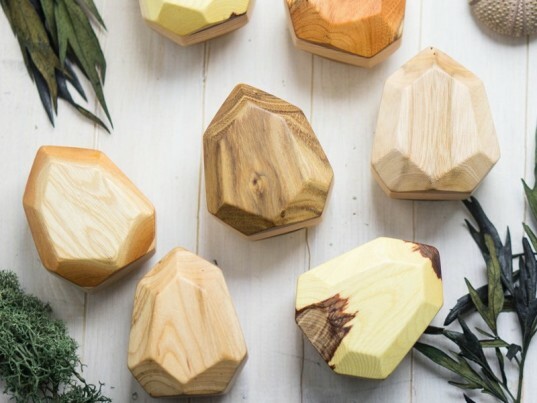 Tiny Fox Hole is a mama-run, handmade cornucopia of enchanting wooden treasures made with safe materials such as solid beechwood and finishes of non-toxic, child safe paints and linseed oil. These toys integrate aspects of Montessori and Waldorf education, and all are one-of-a-kind due to the nature of the wood, so your child will get a toy that’s fun but also unique with individual peculiarities. Plus, given their inherent design aspects, Tiny Fox Hole toys will encourage your child’s love for nature. 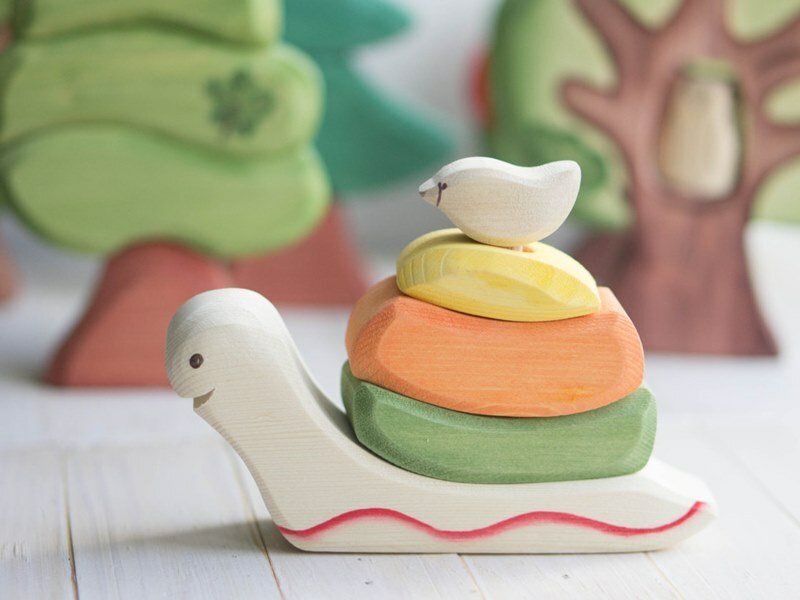 The offering of toys at Tiny Fox Hole ranges from wonderfully colorful stacking snails to awesome tree puzzles with an adorable hoot owl hiding within, to unique geometric shaped wooden rattles filled with peas, to a wooden mushroom that meets your child’s desire to screw and unscrew elements (plus doubles as a nutcracker)! From simple baby toys, teethers and clip-ons to more intricate learning toys for toddlers, this is the toy store to check out! Plus, you won’t pay an arm and a leg for these safe toys — all are extremely reasonably priced when compared to other toys on the eco-friendly toy market. Visit Tiny Fox Hole’s shop to see all their delightful goodies. If you're looking for a go-to toy shop for gorgeous wooden, heirloom quality toys, then Tiny Fox Hole has got your back. This Etsy shop is packed with sweet, safe toys made for babies and toddlers, most with an educational slant and all undeniably cute. Tiny Fox Hole is a mama-run, handmade cornucopia of enchanting wooden treasures made with safe materials such as solid beechwood and finishes of non-toxic, child safe paints and linseed oil. These toys integrate aspects of Montessori and Waldorf education, and all are one-of-a-kind due to the nature of the wood, so your child will get a toy that's fun but also unique with individual peculiarities. Plus, given their inherent design aspects, Tiny Fox Hole toys will encourage your child's love for nature.